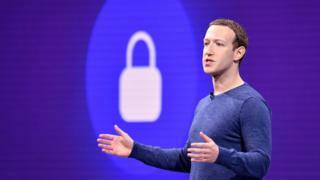 Oga patapata for Facebook, Mark Zuckerberg say make goment plus including regulators dem chook mouth well-well to help control internet content. For article wey im write for di Washington Post, im say di work wey dey to dey monitor content wey fit wunjure pipo too much for di social media firms to dey do by dem self. E tok for di paper say lawmakers don tell am before say internet companies like Facebook get too much power ova speech dat na why e wan see new laws for four areas wey include harmful content, election integrity, privacy, and data portability. Dis dey come two weeks afta one gunman for New Zealand use Facebook take livestream im attack for mosque for ChristChurch. Oga Zuckerberg say e want di new regulations to dey di same for all social media sites so e go dey easier to stop content wey dey harmful to dey spread fast-fast from one platform to di next. Clear rules on top who hand e dey to dey protect pipo data as e dey go from service to service. Di open letter go soon dey published for di European newspapers, dey come as di social network dey face wahala on top wetin dem do for di Cambridge Analytica kata-kata around data misuse for election campaign. Dem don also chop yab on top di video from di ChristChurch killings wia 50 Muslims die as dem bin dey pray. Facebook don tok say dem dey tink to introduce block for live streaming afta di attack and on Thursday announce say dem go ban white nationalism from di site. On Friday, dem start to dey label political ads wet dey appear for EU kontris to show who pay for am, how much dem pay, and who be di target audience. But for 2017, Nigeria military bin wan monitor social media to protect against hate speech but Nigerians no gree on top say dem wan put blockage for dia freedom of speech rights.